This sofa and chair 2-piece set, making up the Opus Collection, brings you the latest in style, comfort, and versatility. The sofa easily converts to bed position in seconds, with an 87 inch by 44 inch sleeping area. 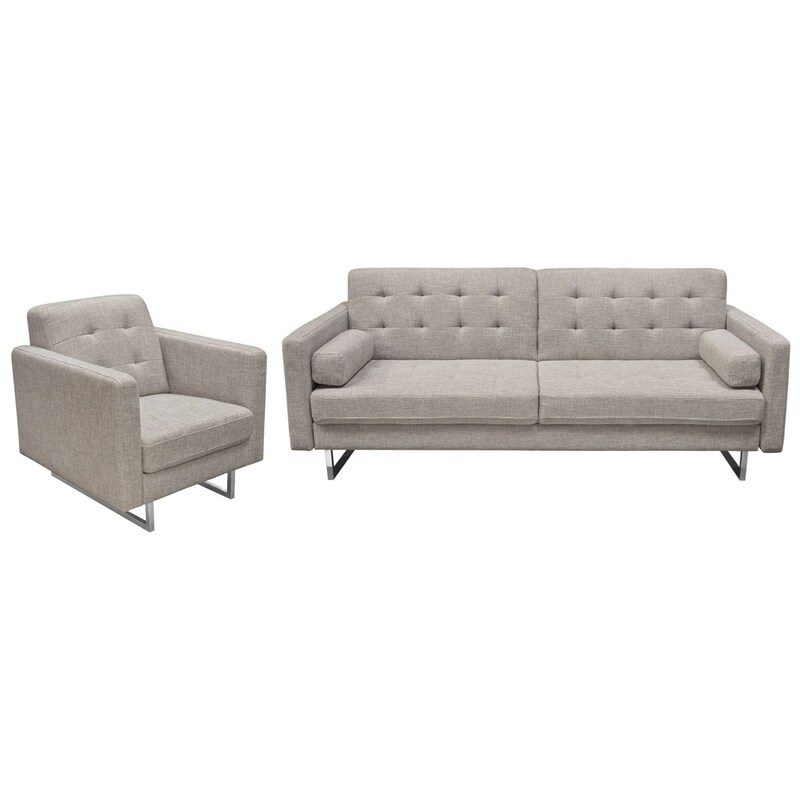 The pieces are upholstered in a grey tufted polyester fabric over a durable wood frame, and complete with chrome legs to bring an additional level of sophistication to your home's decor. The Opus Sofa and Chair Set by Diamond Sofa at Red Knot in the Oahu, Honolulu, Kapolei, Pearlridge, Salt Lake, Hawaii area. Product availability may vary. Contact us for the most current availability on this product.